Nevermind that Curren$y released his eighth album, Canal Street Confidential, towards the end of 2015, alongside a plethora of new freestyles and videos. Nevermind that he is teaming up with producer Alchemist for a brand-new EP, The Carrollton Heist. The hardest working man in rap business has just surprised his fans yet again with the announcement of yet another project. This is simply more proof that Spitta is rap’s current People’s Champion. With two projects already on the horizon, one can wonder what he has ins store for the rest of 2016. UPDATE: That didn’t take long! 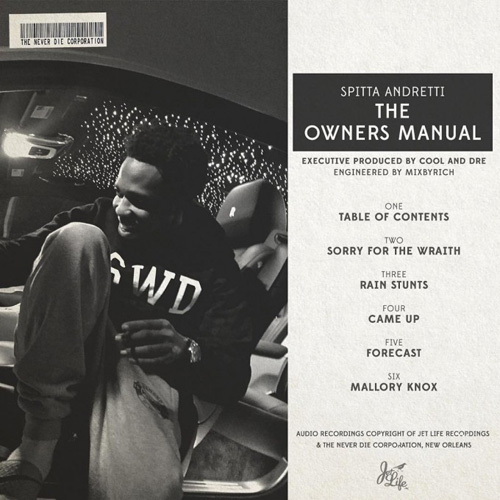 Stream and download The Owners Manual below.